“They all fit into what’s been our original mission: creating a place where people spend a lot of time and which provides things they need on a regular basis,” said Samantha Perry David, chief operating officer at the Massachusetts-based developer WS Development, which runs and manages the property. “It’s a hub of activities,” added David, who also leads the Up Markets, a division of WS. 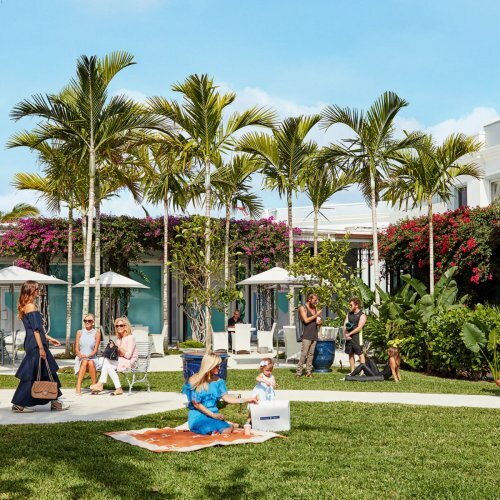 “People come to The Royal Poinciana Plaza to eat, shop, for yoga classes, or to get your house completely designed. We are a one-stop amazing depot for every part of life. That’s really our overall mantra.” She means The Royal Poinciana Plaza goes beyond just selling upscale merchandise. From the fashion perspective, we do sell extraordinarily high-end product, but we felt the same women buying the Birkin bag are wearing Lululemon to go to the gym.” Hermes is the largest tenant on the property. 100% Capri, a boutique for luxury clothing and home products. Gavlak Gallery, which focuses on women and LGBTQ artists. Roller Rabbit, a bohemian, travel-inspired ready-to-wear and home lifestyle brand that celebrates artisanship and handcraft. 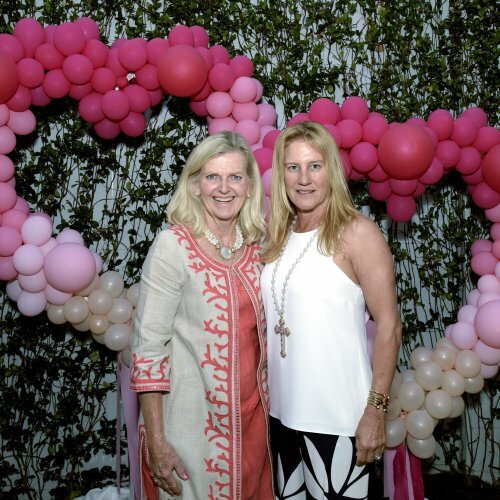 Stoney Clover Lane, founded by Palm Beach natives and sisters Kendall and Libby Glazer, that specializes in customized bags, pouches and small accessories. The Palm Beach location will be the brand’s first store. The Grand Tour and Caroline Rafferty Interiors, featuring vintage and contemporary finds from around the world. The Yoga Society of Palm Beach, a yoga studio that will be partnering with Lululemon on classes. Built in the late Fifties and designed by John Volk, The Royal Poinciana Plaza has 180,000 square feet of retail space, gardens and a myriad of events such as music in the courtyard; wellness weekends for pilates, yoga and workouts; biking along the Lake Trail; backgammon; the “reveal” of unique holiday displays and the “wee royal” series of art and science activities for kids. The setting was recently restored to its original midcentury style and features courtyards with outdoor furniture, palm trees and gardens.